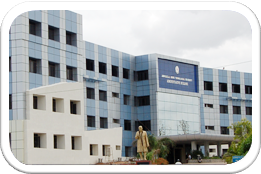 Jawaharlal Nehru Technological University, Hyderabad was established on 2 October 1972 by the Legislature of the State of Andhra Pradesh as the first–ever Technological University in the country. It has been in the forefront during the last forty four years in providing quality technical education of relevance in the State of Andhra Pradesh. After 37 years of relentless service to the society at large, JNT University was restructured into four different Universities namely JNT University Hyderabad, JNT University Anantapur, JNT University Kakinada and JNFAU by the Government of Andhra Pradesh vide Government Order No. 13, dated 18 August 2008 and the Act of State Legislature No. 30, dated September 2008. From then, this university was re-designated as Jawaharlal Nehru Technological University Hyderabad (JNTUH), Hyderabad. The jurisdiction of the University is entire Telangana State. The Constituent Engineering Colleges and Units/Schools of JNTUH are offering 21 undergraduate programmes in B.Tech., 47 Postgraduate programmes in M.Tech., M. Pharmacy, M.Sc., M.B.A. and M.C.A., Integrated 5-Year Dual Degree Masters Programme in 10 disciplines with M.Tech./M.B.A./M.S. In addition to this, M.S., M.Phil. and Ph.D. programmes in various disciplines of Engineering, Technology, Science, Management and Humanities & Social Sciences are offered. The University has Memoranda of Understanding (MoU) with many National and International Organizations, Universities, and Institutions. The University is supporting in conduct of the Entrance Tests TS EAMCET-2016 & TS ECET-2016 entrusted by the Telangana State Council for Higher Education and recruitment tests for various government organizations like TSGENCO, Police Recruitment Board etc.